18.9 x 18.9 x 1.1"
Size: 18.9 x 18.9 x 1.1"
16.1 x 16.1 x 1.1"
The structured black 26704 Base Plate from K&M is an 18.9 x 18.9 x 1.1" flat steel base plate that weights 22.0 lb. Featuring an integrated socket, the plate provides a stable support for speaker stands which employ common distance rods or tube combinations with M20 threaded bolts. 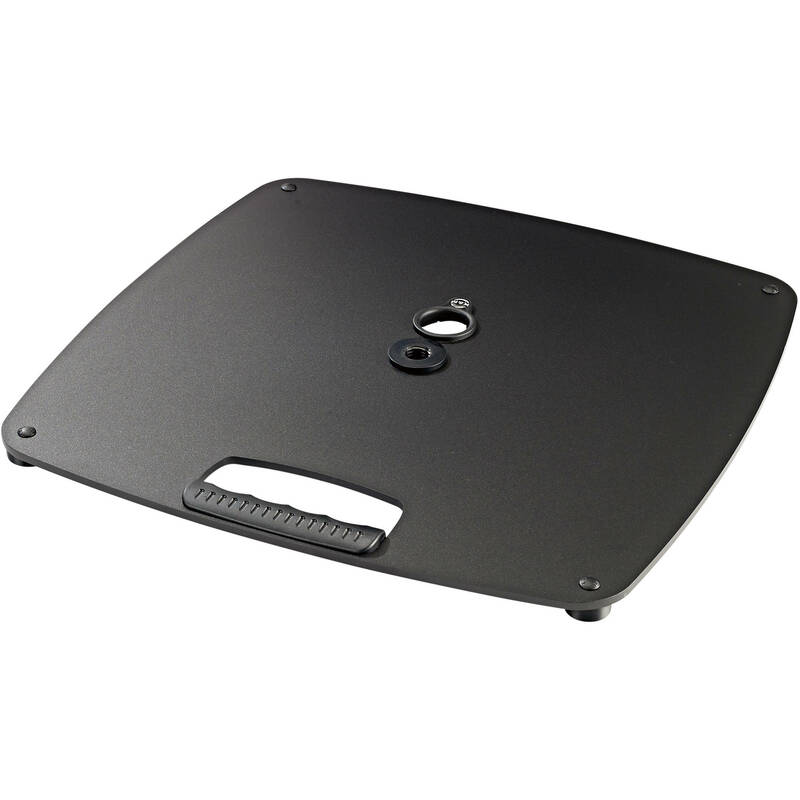 The 26703 Base Plate comes equipped with a convenient handle, a cable management pass-through hole, and four feet covered in felt to protect solid floors. A wrench is included for setting up your tube combination.